Prague's finest example of Gothic architecture, St. Vitus Cathedral is the resting place of many saints, kings, princes, and archbishops. Located within the city's World Heritage-listed castle complex, the cathedral notably contains 14th-century mosaics and stained glass by artist Alfons Mucha. The biggest and most ornate of the cathedral's many side chapels features medieval frescoes depicting scenes from the life of Christ, as well as a hidden staircase leading to a chamber housing priceless Bohemian crown jewels. You may not be able to see the real jewels, which are famously protected by seven locks, but you can reward yourself with panoramic views of the city from the cathedral's south tower. Add St. Vitus Cathedral and other attractions to your Prague trip itinerary using our Prague trip planner. The most important cathedral in the Czech Republic. And equally the most stunning the most breathtaking and the most beautiful! A must see place for all Gothic lovers. You will just stand there in a complete awe. I go there often and I always look up and admire the absolute masterpiece. If you go to Prague you must visit the Prague Castle and you'll see the St Vitus Cathedral, too, it's a part of the castle complex. Buy and send your postcards at the post office 📯 right opposite to the Cathedral, they are much cheaper there than in any shops! You can stand in the back for free. That's the part that's owned by the Catholic church. If you want to go inside you'll have to pay a fee. It's worth seeing. I didn't spring for the extra ticket to see the treasury. A very large and beautiful class Gothic church. It's funny to see At Deco windows in a Gothic Cathedral. Don't miss the one by Alfonse Mucha; it's gorgeous. Many famous burials there. It's best if you have someone explain or get an audio guide because nothing is documented. Go early! It's best to arrive early so you can get through the security check point. Then walk through to the cathedral before it opens at 9am. As soon as you come through the archway grab a photo. The church is mammoth and hard to fit in the camera frame so you need to do it before there are too many people around. As soon as you come through the tunnel go to the right and into the less crowded ticket office to get your entrance ticket. Then back out to the left to get in line on the left side of the cathedral. If there is a line it is worth the wait. I'd do at least an audio tour/book tour. Beautiful interior and it's good to know what you are looking at and why it is catching your attention. Great architecture and the ambience is too good to leave. It's not only has religious value, but also historical and time defying architectural importance. One must visit to understand its greatness; the memory will relation fresh for a long time to come. What a magical place! You can enter the cathedral without paying but if you want to truly make the most out of the spectacular stain glass windows and glorious epitaphs then it's 250 crowns. Would highly recommend going up to the top of the tower, however this is another 150 crowns and it's a very long, steep spiral staircase, the view from the top is quite simple breathtaking! Every day, we help thousands of travelers plan great vacations. Here are some tips on how to use your Listing Page to attract more travelers to your business - St. Vitus Cathedral. Promote your permanent link - https://www.inspirock.com/czech-republic/prague/st-vitus-cathedral-a410496399 - on your website, your blog, and social media. 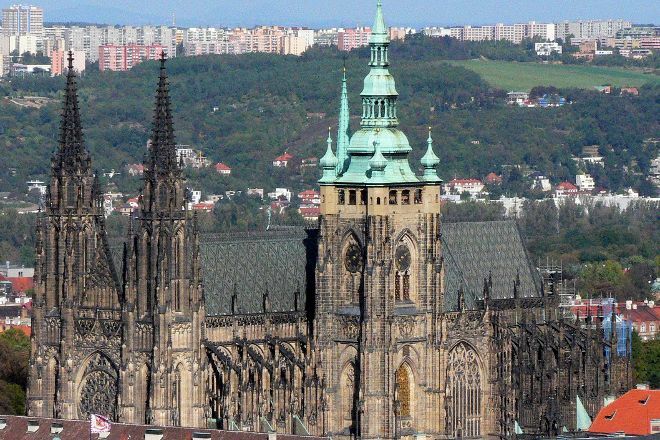 When a traveler builds a plan from this page, the itinerary automatically includes St. Vitus Cathedral. This is a great way for travelers looking for a great vacation in your city or country to also experience St. Vitus Cathedral. Promoting your link also lets your audience know that you are featured on a rapidly growing travel site. 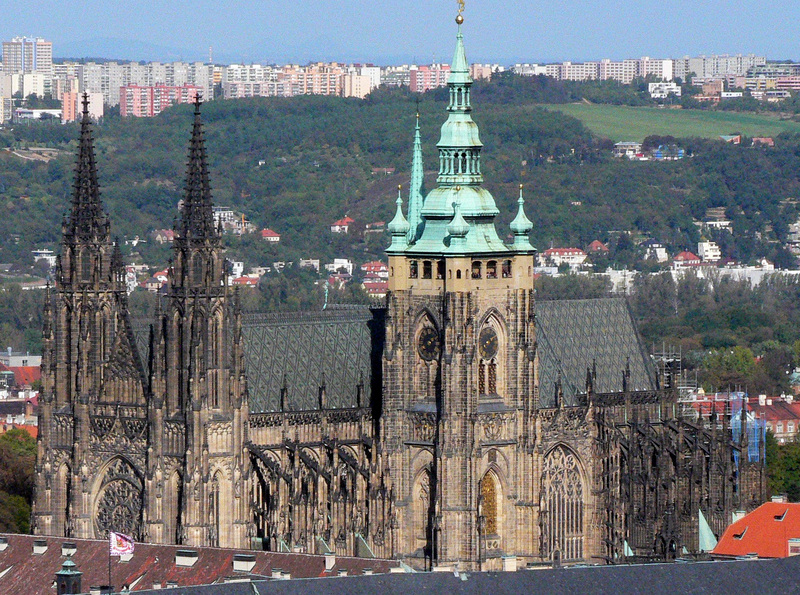 In addition, the more this page is used, the more we will promote St. Vitus Cathedral to other Inspirock users. For best results, use the customized Trip Planning Widget for St. Vitus Cathedral on your website. It has all the advantages mentioned above, plus users to your site can conveniently access it directly on your site. Visitors to your site will appreciate you offering them help with planning their vacation. Setting this up takes just a few minutes - Click here for instructions.